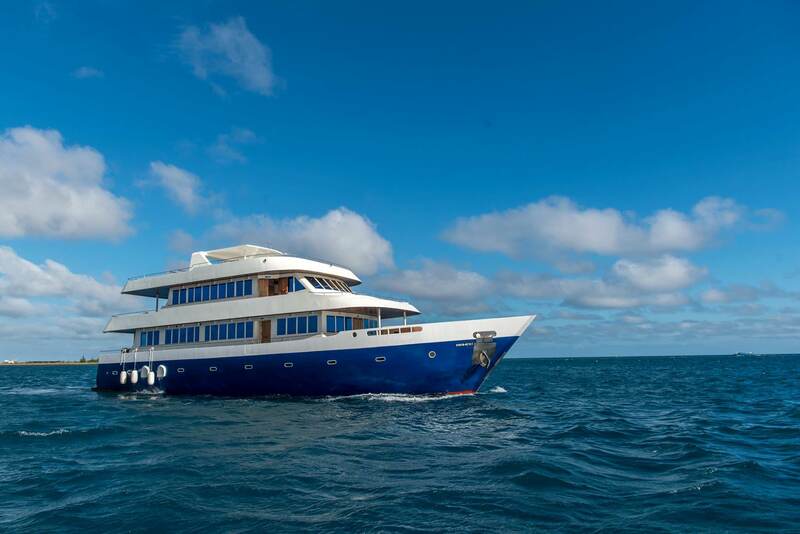 The Maldives Explorer is a high value for money charter boat. They can take you to the area of your choice, including the Deep South in Maldives. 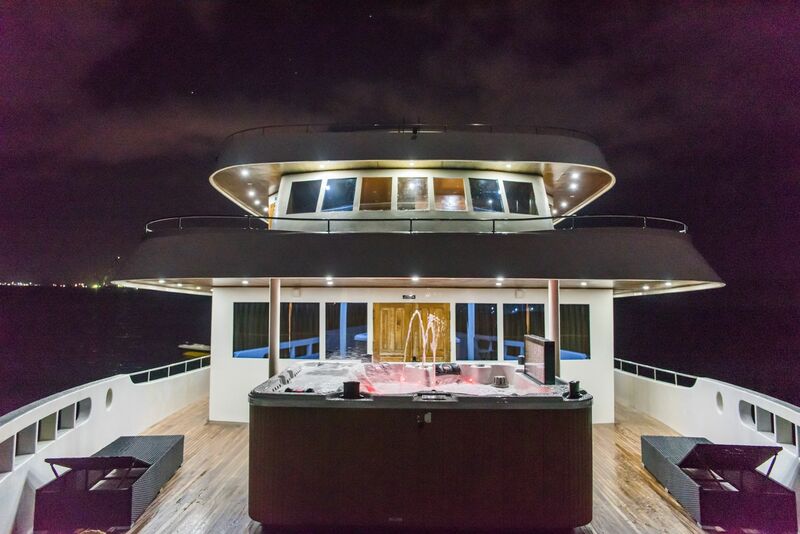 The boat offers exceptional onboard facilities, like the jacuzzi. 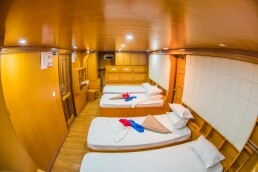 It has 8 air-conditioned cabins. Each cabin has its own attached bathroom for enough privacy. The boat can reach a speed of up to 14 knots. 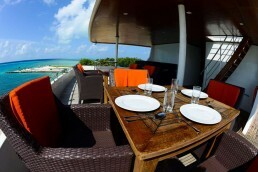 So you can enjoy capturing lots of the beauty of the Maldives. And you will be at the best waves in no time. 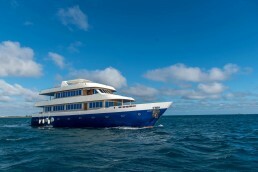 The Maldives Explorer is a great charter option. 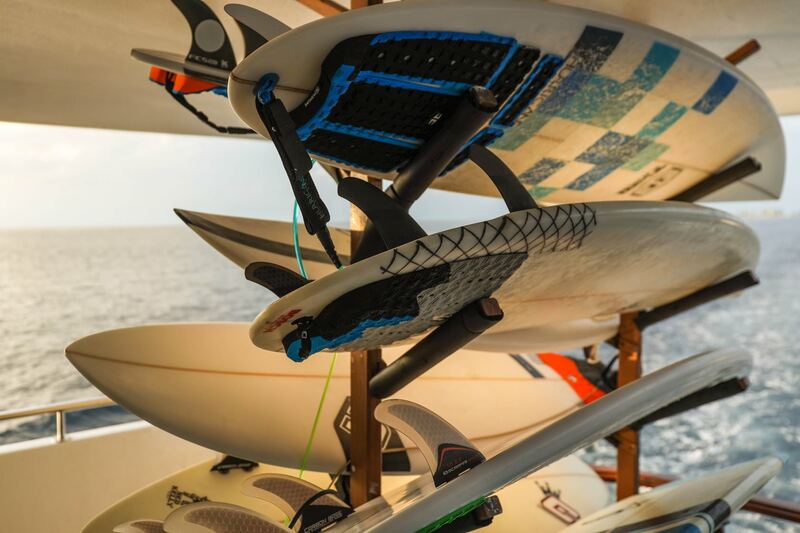 They take you around the Maldives Islands for a surf charter trip. 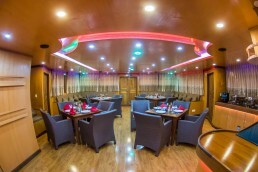 The boat has been refurbished in 2018. 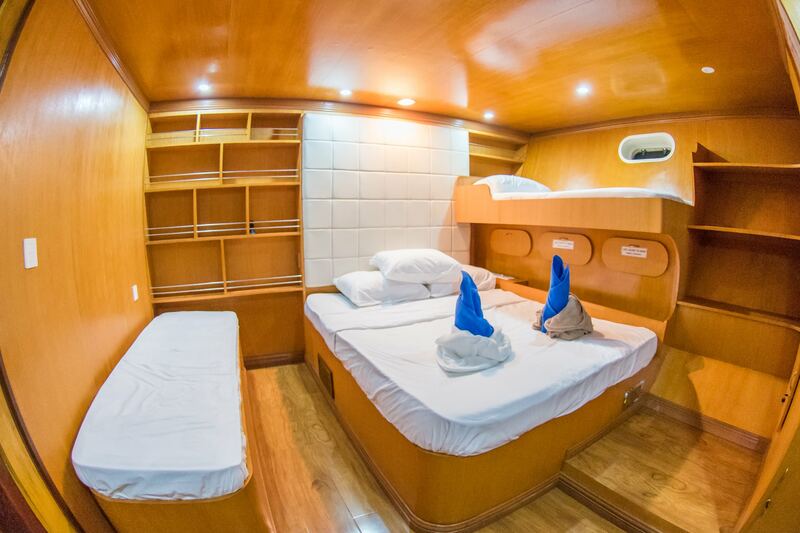 The Maldives Explorer surf charter boat can take 8 to 16 people in 8 modern air-conditioned cabins. Each cabin has its own bathroom with hot and cold water. There are spacious communal areas for socialising and relaxing. The lounge area has a 32 inch full HD TV and Blu-ray disk player . There are a media library and board games. A karaoke and surround speaker system is available for your entertainment. The charter boat has multiple alfresco dining areas. There is a resort-qualified chef on board who prepares a variety of dishes with European and Italian influences. The sun deck has a bar, lounge beds and jacuzzi. The bar is well-stocked with a variety of soft drinks, spirits, French wine and beers. 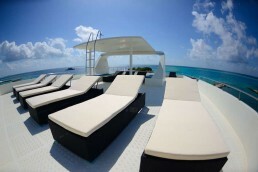 A trip on the Maldives Explorer charter boat is all included. They offer 3 meals, enough snacks, coffee and tea. They have unlimited purified mineral water. Furthermore, all trips include a visit to a local fishing island and a sandbank bbq dinner. And more activities are possible on request. All necessary navigation and safety equipment is onboard. And, there is wireless internet access. The Maldives Explorer offers surfing, snorkelling, fishing, cruising and diving. On dive trips there is a special dive dhoni, a PADI certified instructor and a PADI certified dive guide. A dhoni for surfing, snorkelling and fishing will be arranged on request.